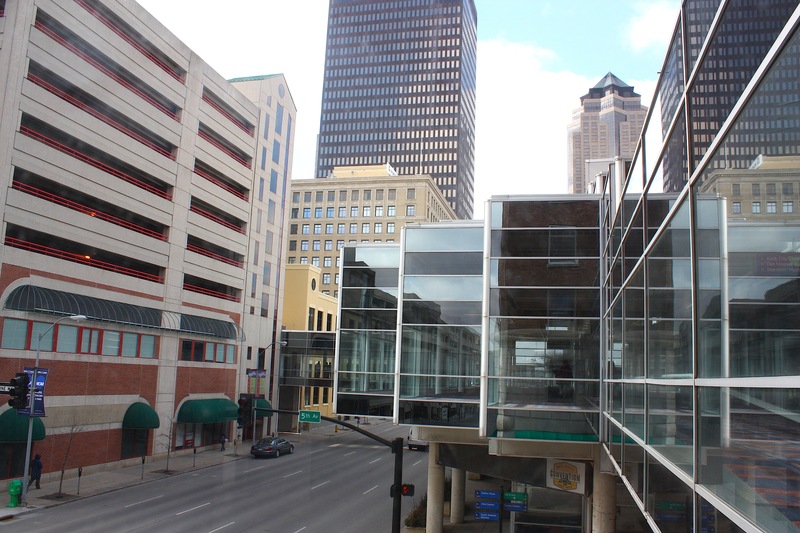 I would never have considered making the Downtown Des Moines Skywalk system a destination or a topic for this blog if I hadn’t read David Elbert’s column in the Feb. 9 Des Moines Register. Titled “Makeover of D.M. 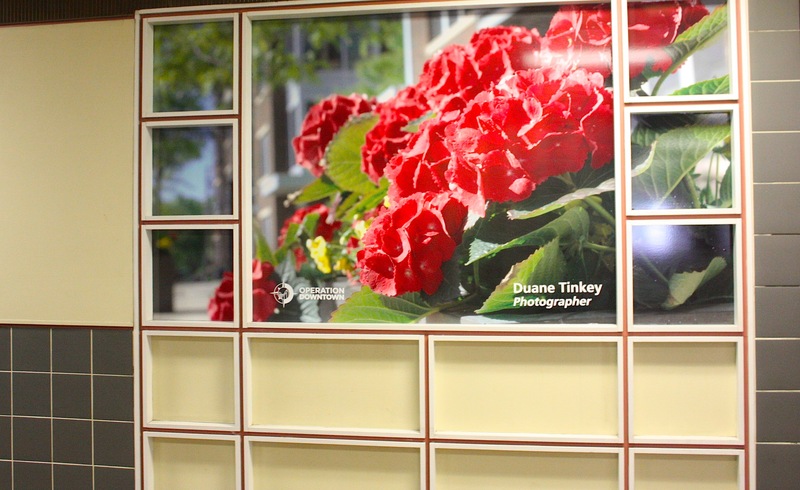 skywalk glitters with images of city,” the story detailed a facelift that included new artwork and physical upgrades. I’m not sure how “upgraded” or beautified the skywalks are, but I had a hell of a lot of fun traversing the maze of walkways over streets, inside buildings, through parking garages, and over alleyways. That’s a great point. 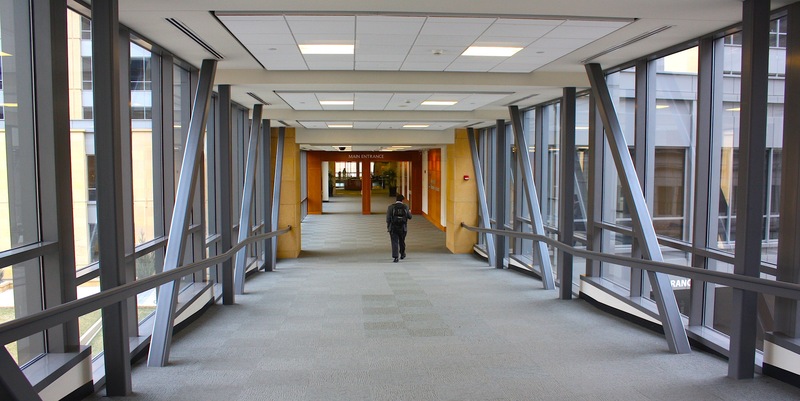 Because once you get into the skywalk system, you don’t have to worry about the elements. It was cold yesterday when I took my walk (which was actually longer than 4 miles because I had to double back several times) and I didn’t even wear a coat. Some of the walkways are chilly and others are a little over-heated, but most are very comfortable. 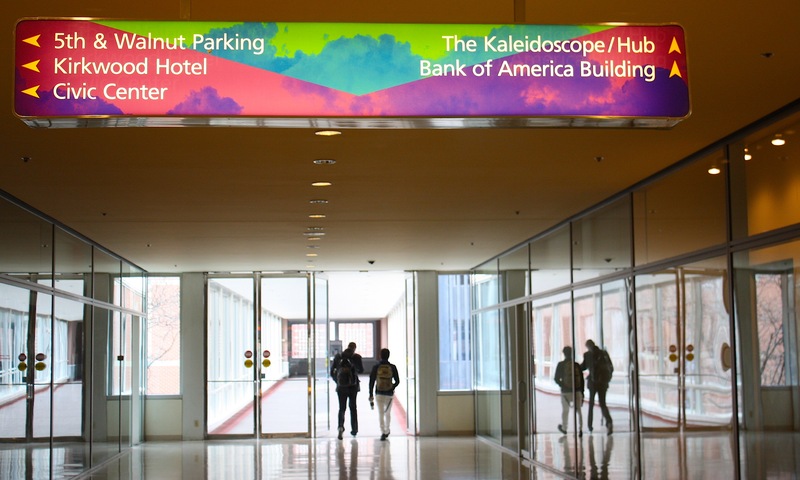 When I started my walk at about 10th and Locust, I fully expected to walk past hotels and parking garages, because that’s been my main connection with the skywalks in the past. 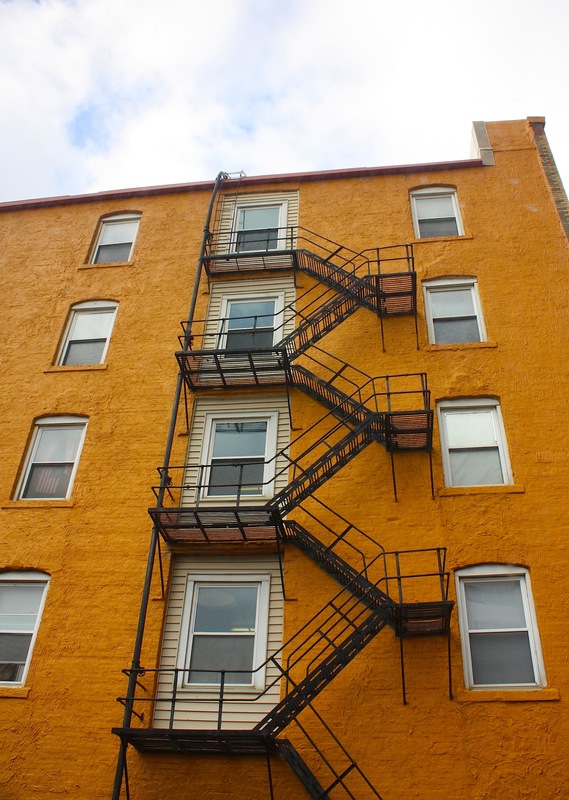 You know: Park in the of the big downtown garages and walk to an event. Or walk from Court Avenue to the Civic Center. 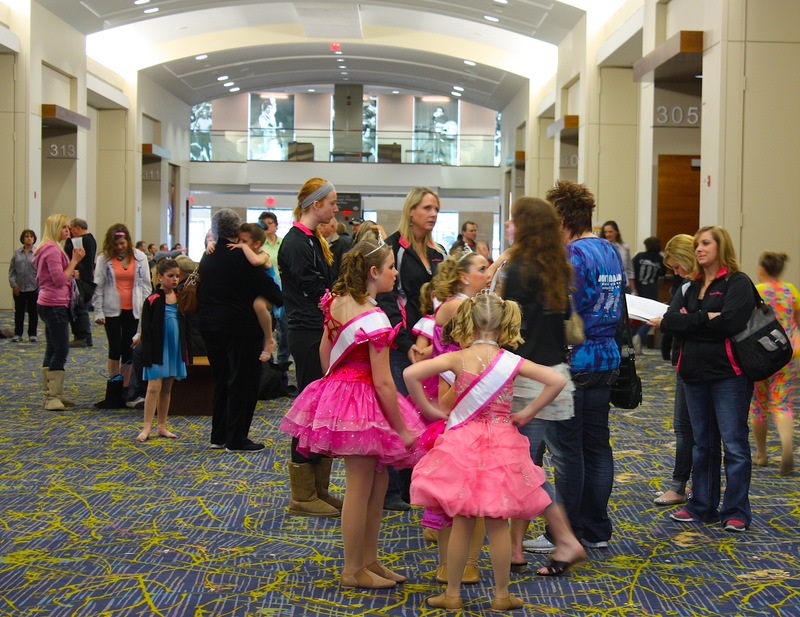 But I didn’t expect to walk through Capital Square (400 Locust) and through the Iowa Events Center (where a little girls’ dance competition was taking place inside Veterans Memorial Auditorium). I remembered walking through Kaleidoscope Mall at the Hub but it’s been years. This mall, like many of the businesses along the skywalk route, caters primarily to downtown workers and thus only open Monday through Friday during the day. My walk would have been completely different had I done it on a Tuesday at noon. I would have encountered business-suited workers rushing from meetings, talking madly on their cell phones. Instead, I encountered mostly families with young children, older adults on scooters, a few single walkers, and a couple of homeless guys. Through long portions of the skywalk system, I had the place to myself. I walked past a number of restaurants (all closed), a barbershop, small retail stores, corporate banking headquarters with security guards, a former department store (Younkers), the Des Moines Register, and the Polk County Convention Complex. I was probably the most entertained by the Iowa Events Center area because several events were going on and thus the whole place was accessible. I hadn’t seen Vets since it was renovated (actually, I’m not sure I was ever in Vets before it was renovated, either). No matter. It’s a real showplace. The architecture is grand, the meeting spaces roomy, and the ballroom expansive. Besides the little girls strutting their stuff on the main level, the Variety telethon was starting upstairs. Inside Wells Fargo Arena, workers prepared for the girls’ state basketball tournament. And a group of teenagers (many of whom looked to be the aforementioned girls’ basketball players) was just going into the Iowa Hall of Pride (I have that attraction on my list for another blog, another day). So back to my source of inspiration: David Elbert’s column. In it, he said much of the facelift is “subtle” (windows washed, new carpet installed, lighting replaced, drooping ceiling tiles fixed). I can’t say I noticed any of that. The skywalk system morphs about every two blocks depending on what area you’re in. If you’re walking through Wells Fargo, you better believe the floors, ceilings, and walls are all gleaming architectural gems. If you’re walking through a parking garage, you’ll be lucky if there is carpet at all. 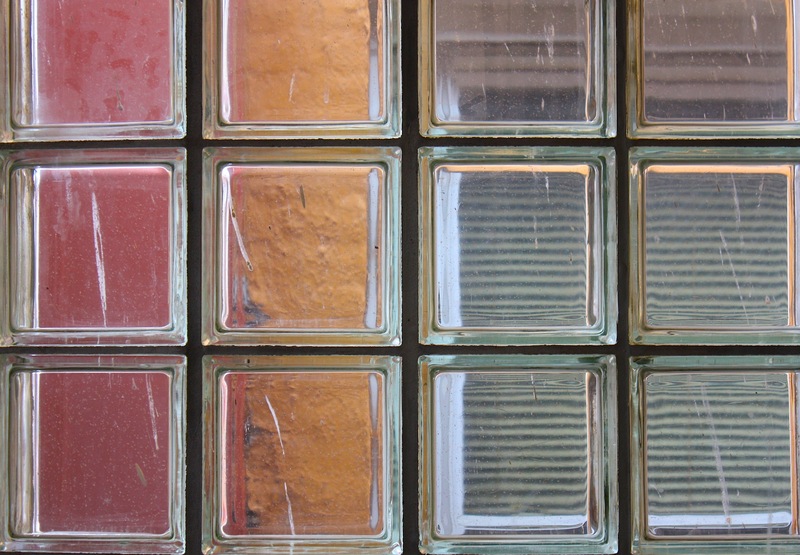 More likely you’ll be walking on concrete or tile. Elbert also says there’s new artwork replacing aerial photos of gliders and hot air balloons that have been displayed for 20 years. In their place are 19 oversized photos of the city’s skyline and other icons along with artwork that celebrates downtown. If you go, don’t expect to see this all along the walkways; it’s confined to just one small section. It’s nice, but it was the artwork in Vets that really caught my eye (to be fair, Vets itself is not part of the skywalk system…you just sort of end up there if you keep walking). The first pedestrian bridge was across Fifth Ave. south of Walnut St. It was built in 1969. It connected the then-under-construction J.C. Penney building with the then-under-construction parking garage on the east side of Fifth St. Since 1982, nearly four miles of skywalks have been built downtown. 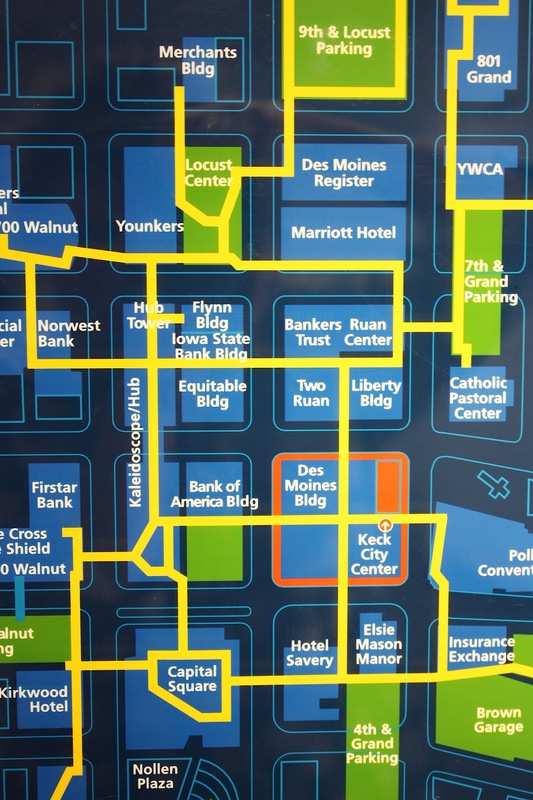 The original backbone of the system was along Seventh St. through the Marriott Hotel and Younkers to Wells Fargo Bank. Today the system runs from Court Ave. to 801 Grand (a very hoity-toity section, if I recall) and from Wells Fargo Arena to the Nationwide Insurance campus (near where I parked). Elbert explains something I noticed: A lot of the buildings connected by the skywalks are vacant. 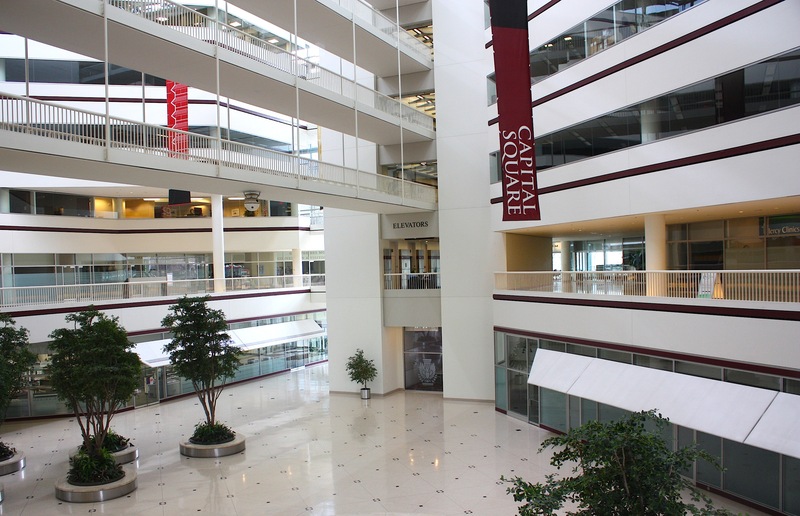 Insurance companies Wellmark and Aviva left downtown in 2010 and as a result those spaces are vacant; the relocation of those workers has forced some retailers to close down as well. Elbert says the Keck Building is in foreclosure. One thing I’ve always noticed about the skywalks is that they’re not easy to get to from street level unless you know the system. I know you can access them on Court Ave. upstairs from Court Avenue Brewing Company, from the parking garages, and from the Marriott and other hotels. But I might have a hard time finding access elsewhere. 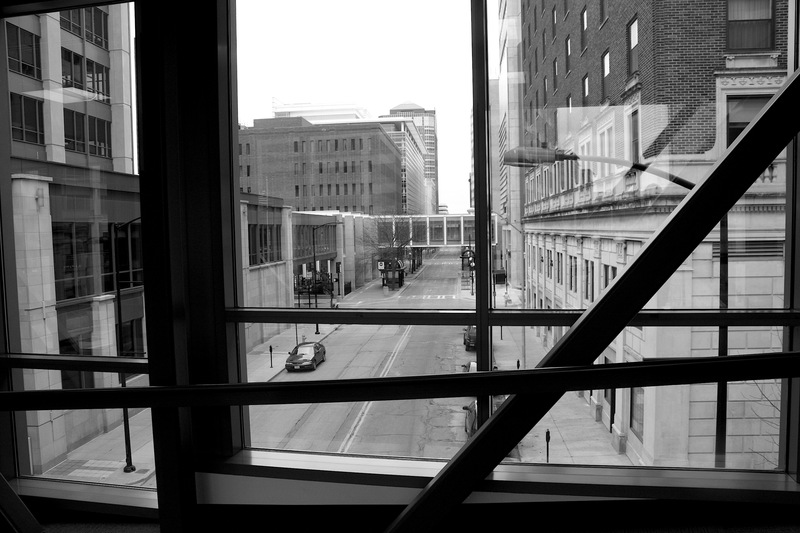 Part of the time I was in the skywalks I wasn’t sure exactly where I was, but it’s fun to pop out and see a street scene of, say, the State Capitol building, Java Joe’s, a river bridge, or a eclectic apartment building. 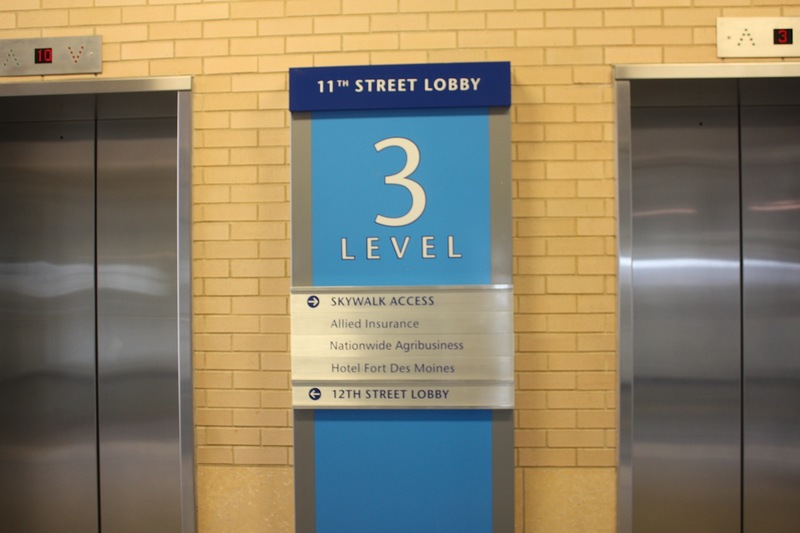 If you decide that a walk through the Des Moines skywalks would be an interesting adventure on a cold or rainy day, you shouldn’t have any trouble finding your way through. Signage, though outdated in sections, is plentiful and maps are located throughout the system. Is it an easy walk from the Marriott to the Iowa Events Center? Do you have to go through parking garages to get there? Just wondering if I would feel safe on a weekend with my daughters, or if it would be better to drive to the events center instead. Thanks! Would you say it’s less than a mile? Just trying to guess how much time to allow. I’m guessing walking there would be a lot less of a hassle than driving and having to deal with parking. One more question: Is the Renaissance Savery Hotel quite a bit closer to the Events Center? Is that a nice quality hotel?